VCE Designer from Avanset lets you create and edit VCE Files. 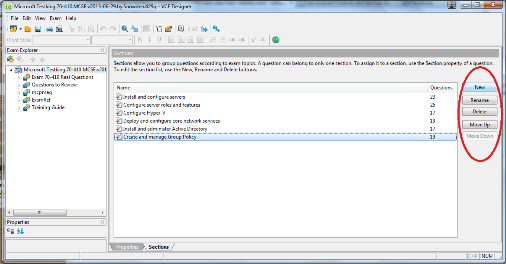 This is a modern and convenient software, intuitive enough to get you going even without any help. Here's a quick guide to get you started. 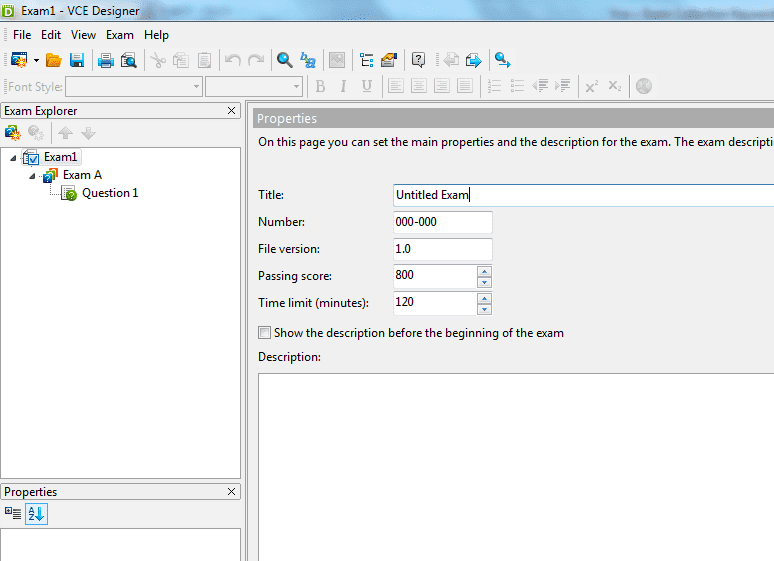 You will be prompted to the Properties window to input basic information of your exam, including the exam title and number (which is especially useful for IT certification exams), exam version, passing score and time limits. All this information can be added and changed later in the process too, so you can skip it for now. 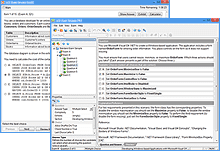 The list in the upper part of the page provides you with the editing and preview functions found in most types of modern software (print, preview, undo previous action etc). 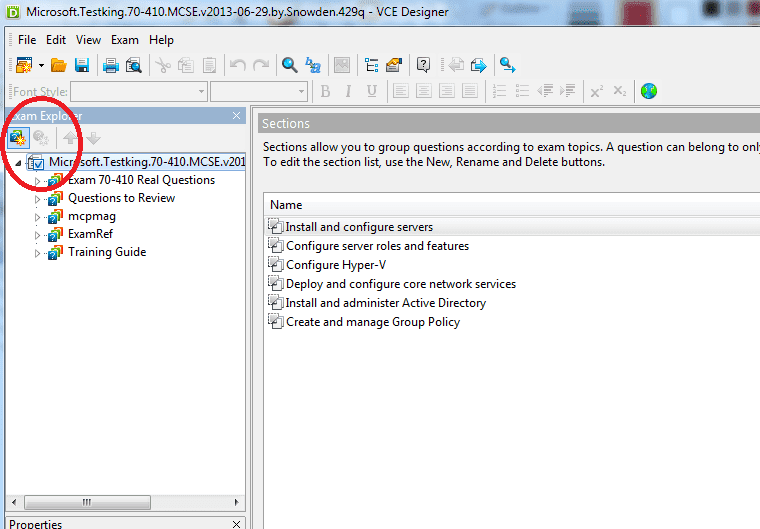 In the bottom of the page, there are 2 tabs: one for editing the question, and another one for preview. 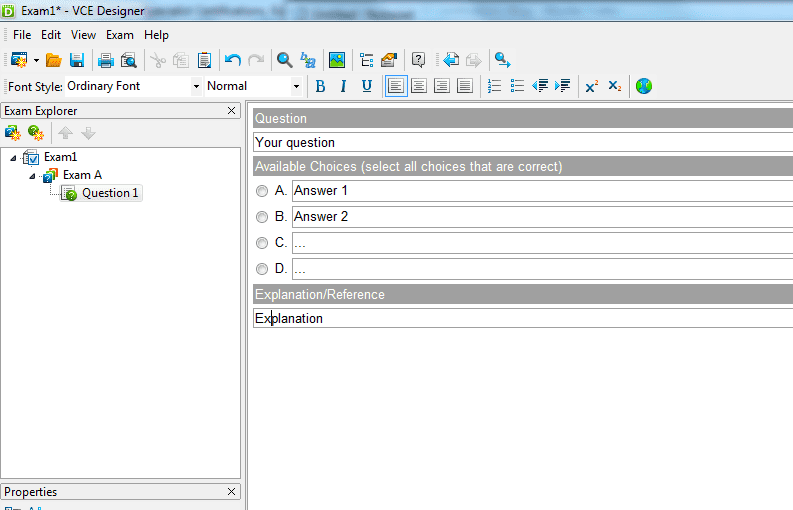 They help users ensure that the exam questions they're working on are turning out as expected. 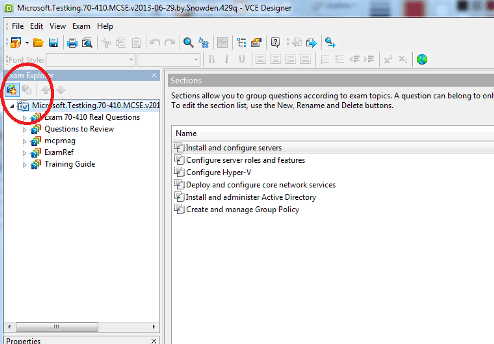 VCE Designer also provides users with an option of adding a reference/explanation to the question. 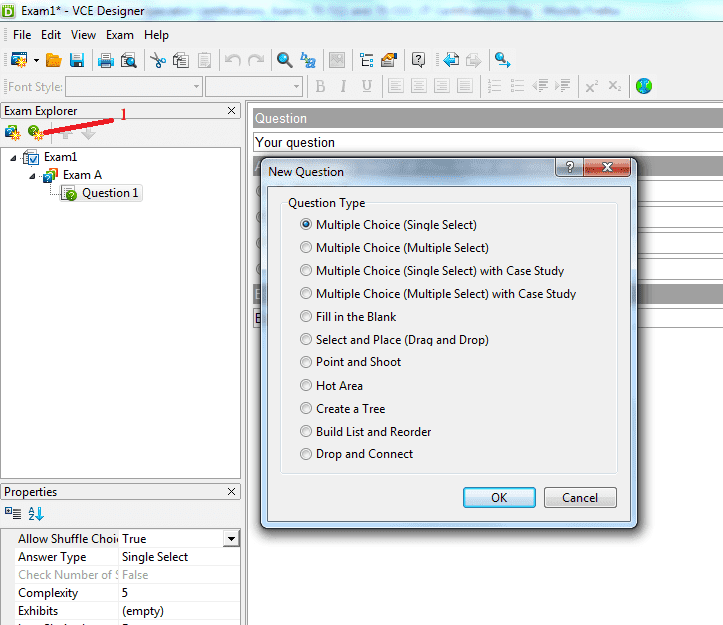 This information will appear when the question and answer are viewed in VCE Player, and might be especially helpful to those users who had gotten the question wrong. 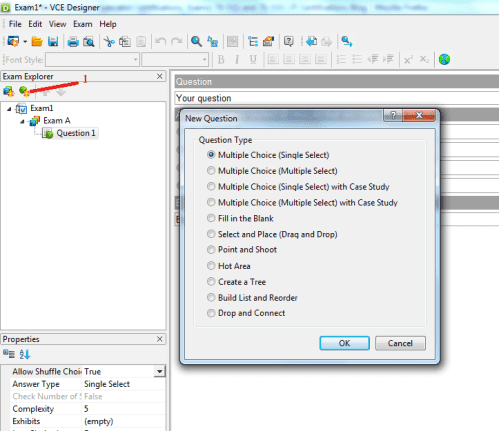 To change the order of the questions, you should right click on the question area (left part the VCE Designer window). 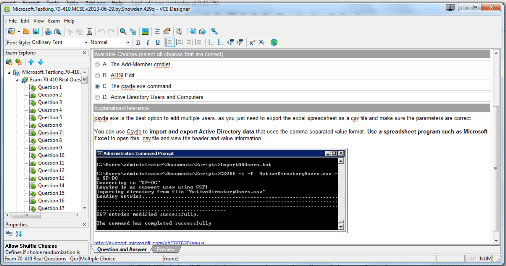 You will get a small list with available commands. 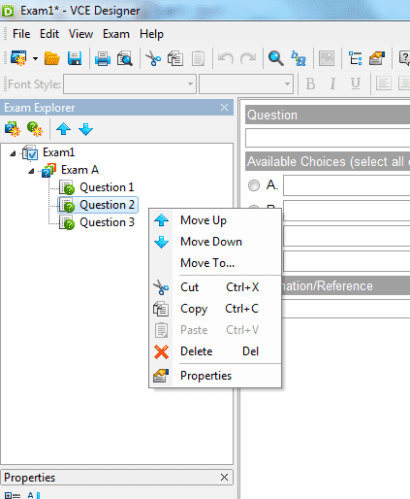 When editing an exam and clicking on its name, you will get access to the full question list. It includes information on the types of questions, as well as the sections they belong to. 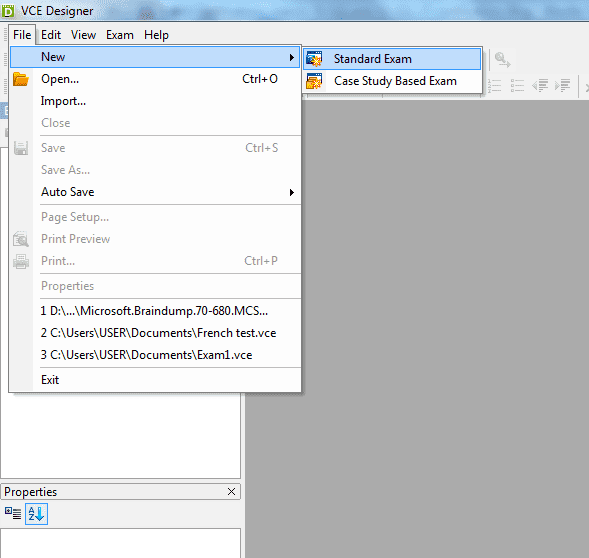 To save your VCE file in VCE Designer, go to File->Save As. 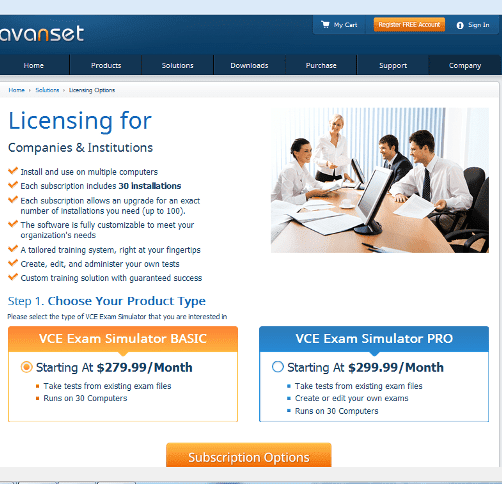 VCE practice exams and VCE software are becoming increasingly popular with users who value their time and want to prepare for their IT certification exams easier and faster. 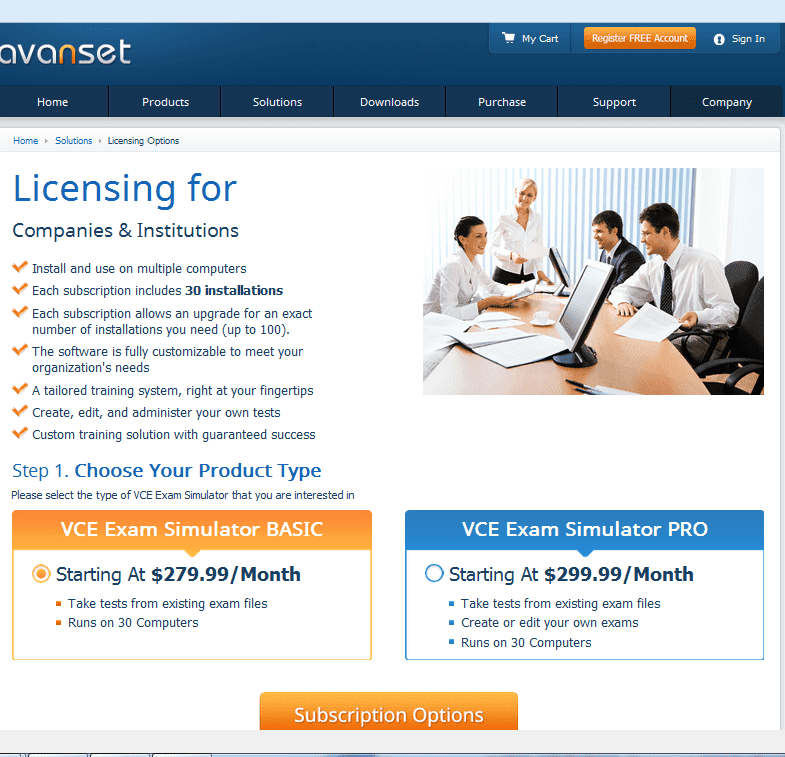 Popular with IT professionals, as well as representatives of other industries worldwide, VCE technology provides users with the next generation learning solution.